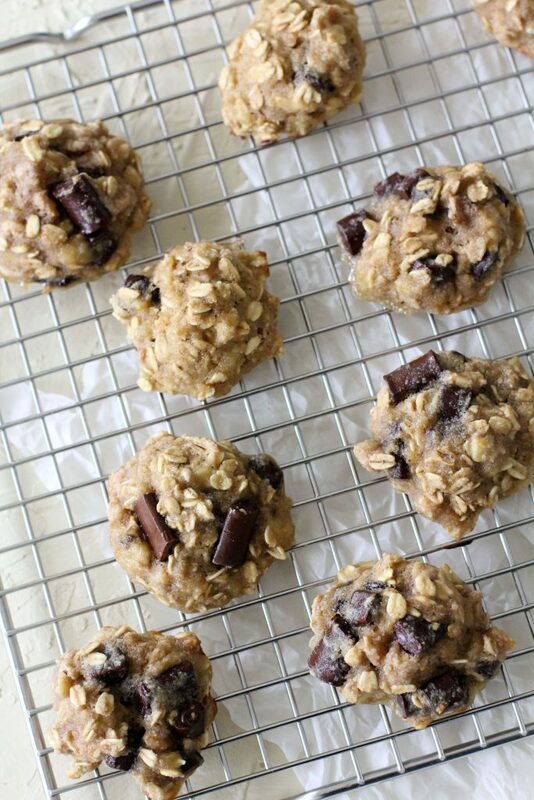 These Gluten-Free Chunky Monkey Breakfast Cookies from The Whole Smiths are the perfect grab-and-go breakfast for busy families and picky eaters. 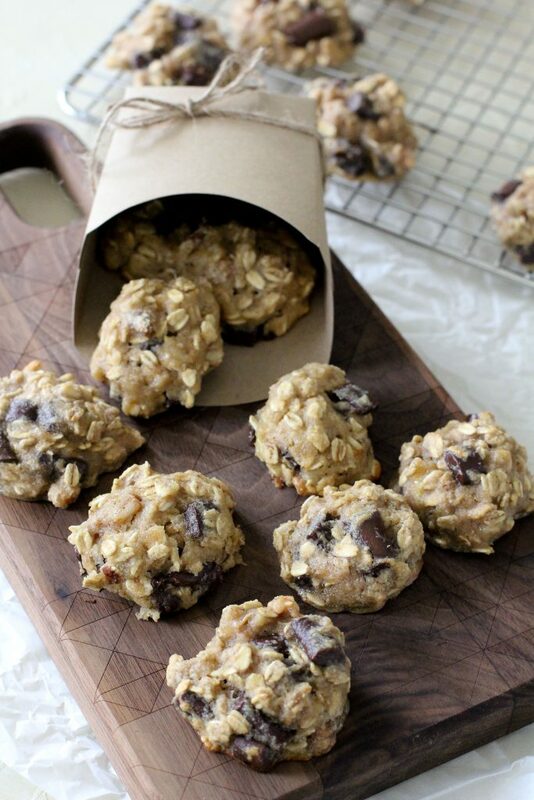 They’re gluten-free, portable and easy-to-make. Even the littlest of foddies will love them! Morning breakfast struggles can be tough. Especially if you have little ones at home. Nothing says peaceful morning like trying to get ready for school and arguing about what’s for breakfast. We don’t have time for breakfast meltdowns every morning and quite frankly, it’s not how I want to start my morning every day. While in a perfect world, we’d have sautéed veggies and eggs every morning, my kids are over it. I get it. Even as an adult I get sick of eggs and I get sick of having the same darn thing every morning. I realized we needed some variety. If left up to my kids, their choice every morning would be pancakes (WITH gluten as they have requested in the past), donuts, junk cereal or perhaps they’d prefer a Pixie Stick hooked up right into their veins. So yeah, they still don’t get to have a FULL choice in the matter. It’s all about the options. But I can hang with some options that work for the both of us. I won’t budge however on loading them up with sugar and processed “food” that doesn’t actually fuel your body. That’s a hard no. I also insist it must have SOME protein and fruit or veggie. Those are the same rules I guide my own breakfast choices by. 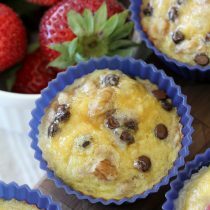 In fact, while I designed these breakfast cookies for the little ones in our lives, they’re perfect for us grown ups too. I find that if I can give my children a voice in what they’re eating we have a lot more luck in the complaints department. I mean, think about it… If you’re complaining about YOUR OWN IDEA aren’t you just complaining and criticizing yourself? Fortunately that’s not something my kids tend to do at this point in their lives, they’re always right. 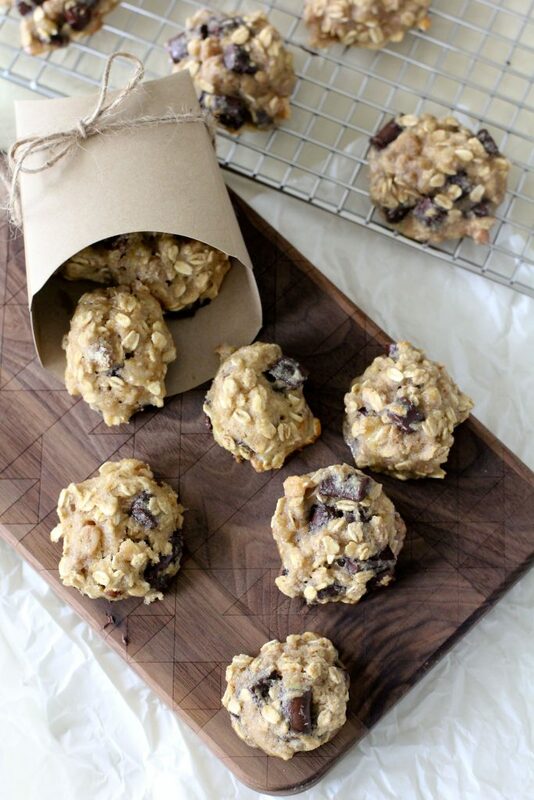 Our mornings start off much like this, “Would you guys rather have some Banana Egg Muffins or those Gluten-Free Chunky Monkey Breakfast Cookies you liked last week?”. No harm in reminding them how much they liked them, right? Because God knows, they may love one thing one day and decide the next it’s the worst! While I often still make hot breakfasts like my Sweet Potato Hash, it can be hard to find the time when it takes a 6 year old 10 minutes to find a show and 15 minutes to put them on. Which is why I wanted to make a recipe that we could whip up quickly on a Sunday and have them ready to go for weekday mornings. You can heat these up in the microwave if you’d like or eat them at room temp. Once they’re cooled you can store them in air-tight on the counter or in the fridge. I’m a huge proponent of doing and making as many things ahead of time as possible to ensure a peaceful morning. I have the kids pick out their outfits the night before, backpacks packed, water bottles filled and ready all the night before. So why not breakfasts too? It’s one of the biggest no brainer moves but it’s a keeper. You can stick to this recipe as-is or you can swap out the nuts and chocolate chips for other items. 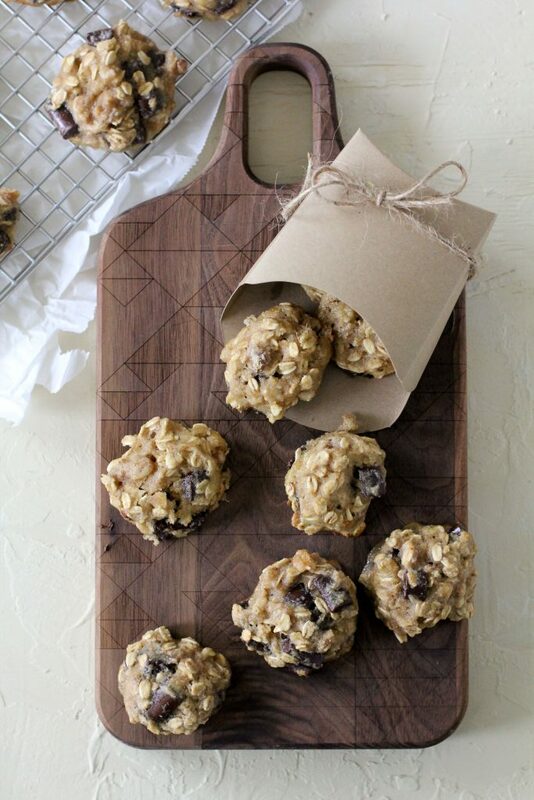 Think of these little cookies the same way that you would a warm bowl of oatmeal. If you have a nut allergy in your home (or just don’t like nuts) feel free to use some sunflower seeds in place of them. You can also add things like unsweetened shredded coconut, dried fruit, ground flax seed etc. If you do have an almond allergy you’ll obviously want to omit the almond extract as well. The almond extract isn’t a critical component of the recipe but it does enhance the banana flavor of the cookie, that’s why it’s there. So if you need to omit them, know the cookies will still turn out but just have a slightly different flavor. Enjoy the recipe my friends and as always, make sure to post them to the ‘Gram if you make them! Tag me @thewholesmiths and I just might repost them! 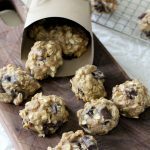 These Gluten-Free Chunky Monkey Breakfast Cookies from The Whole Smiths are the perfect grab-and-go breakfast for busy families and picky eaters. 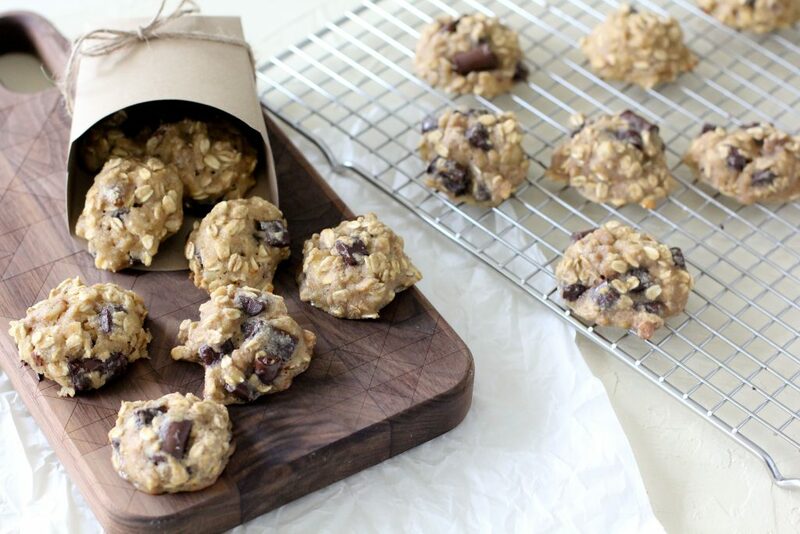 They’re gluten-free, portable and easy-to-make. Preheat the oven to 350* F and lightly grease a cookie sheet. Add the eggs, mashed banana, syrup, vanilla and almond extract to a large bowl and combine well. To the same bowl add the oats, almond flour, tapioca flour, cinnamon, baking powder, and salt and stir to combine well. 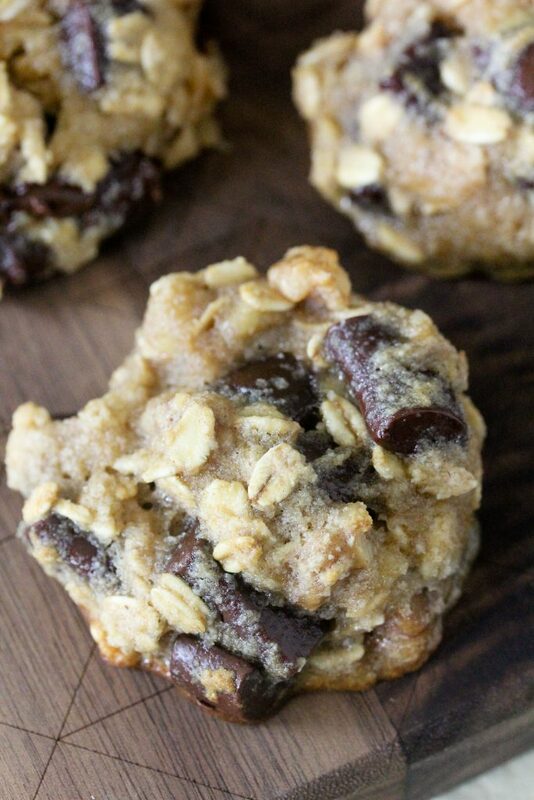 Fold the walnuts and chocolate chunks into the batter. Spoon about 1 & 1/2 tablespoons of the batter onto the parchment paper and bake for 13-14 minutes until cooked though and lightly browned on the edges. The batter will look loose but don’t worry, the cookies will hold their shape! Delicious! 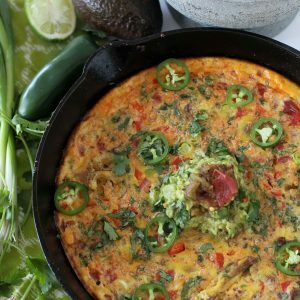 I used flax eggs instead of real eggs and it worked beautifully. My mom, who doesn’t like banana or chocolate, even liked these. She said they taste like eating a warm bowl of oatmeal. Yum! Next I’m going to try with coconut and raisins. 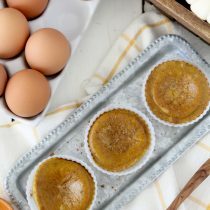 These look delicious, easy and a better alternative to so many sweet treats! We are not GF in my house and don’t have some of the GF ingredients on hand. I use almond flour for things like macarons, but can you suggest substitutions for the tapioca flour? I used coconut flour instead of tapioca flour. They came out great. This recipe is delicious.